This post is sponsored by HomeRight. All ideas, opinions, and projects are all my own. I have been slowly helping my sister transform her new house over the last year. We have tackle a few rooms and a few small projects. This dated oak dresser that was in her bedroom didn’t match anything else. It was the odd (orange) man out. I knew all it would take was a little paint and new hardware. 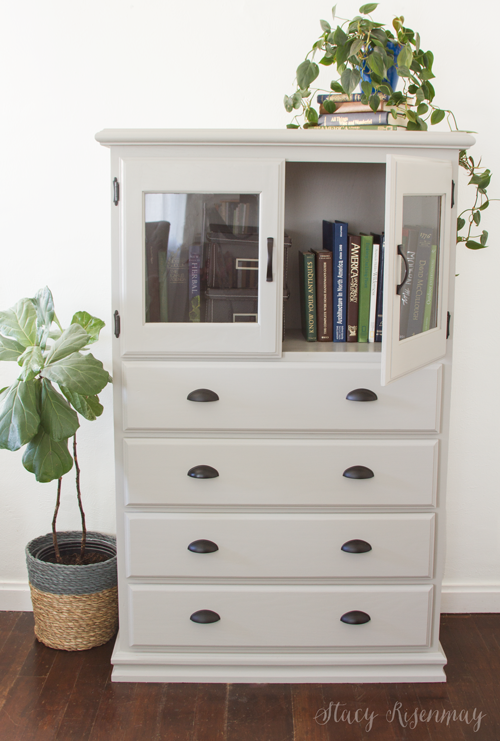 I love how this grey dresser makeover turned out! After removing the hardware and lightly sanding it, it was ready to paint. I used the Super FinishMax with the green tip. I had some leftover paint from when I painted my kitchen cabinets so I used that. My sister’s room has a lot of grey accents so I thought it would be perfect. I can’t wait to see what it looks like in her room! 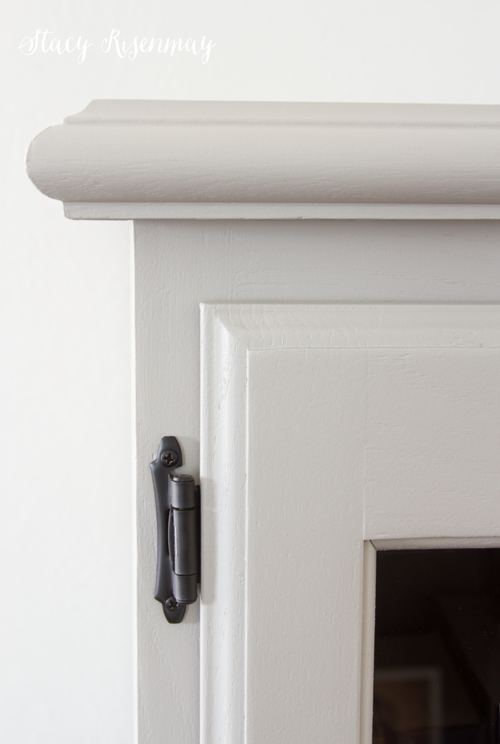 Even though the cabinet had that deep oak grain, the Super FinishMax was able to get a nice, smooth finish. 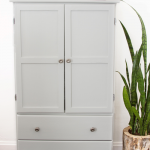 This grey dresser makeover is one of my favorite furniture makeovers because of how much different it looks just with changing the paint. HomeRight is giving away a Super FinishMax to one lucky winner! Enter below using the rafflecopter widget. You must be at least 18 years old to enter. You must be a resident of the USA to enter. The giveaway will go from October 30, 2018 to November 7, 2018. A winner will be chosen by random.org and will be notified by email. The winner will have 48 hours to respond before a new winner will be chosen. The shipping of the prize is the responsibility of the company, in this case, HomeRight. My next painting project is the outside of my house which is brick, along with the shutters and door. I have a book case and some outdoor chairs that need paint. That looks great. I’m always wary of painting wood furniture but this looks way better. I have a few painting projects that would be way easier with a sprayer. 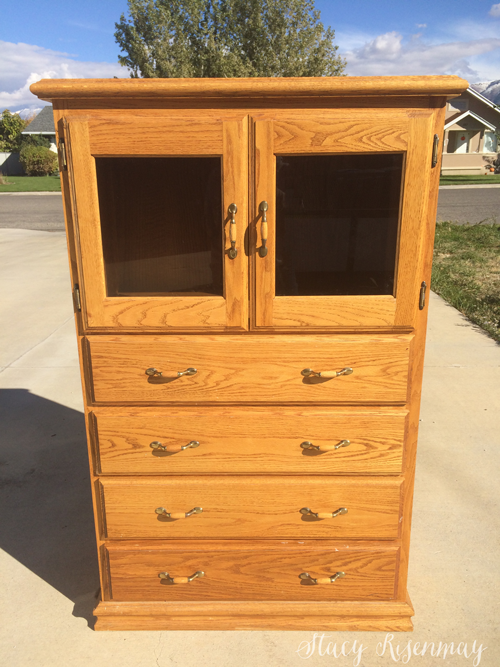 Wow this is beautiful – my next project is painting a wood hutch – hope it comes out as great as your dresser did! Entry foyer table needs some love and color. 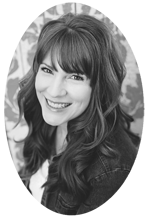 Love this makeover! My next project will be crafting holiday ornaments for my entire family! Wow! This looks great! 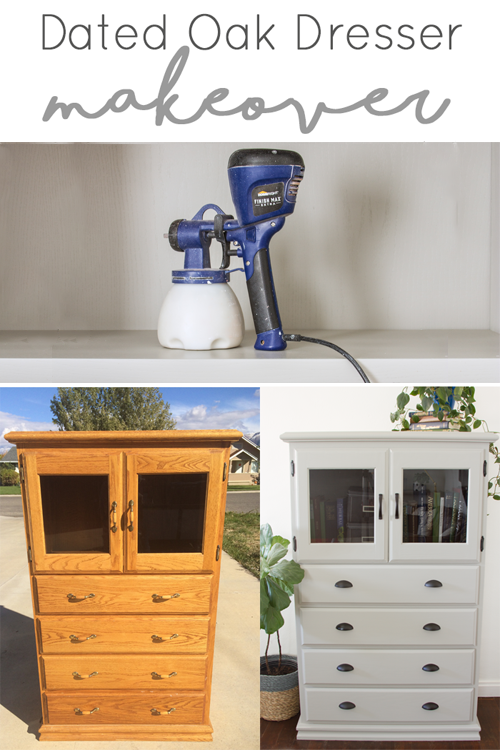 I’ve never thought about using a sprayer for furniture. Thanks for the idea. 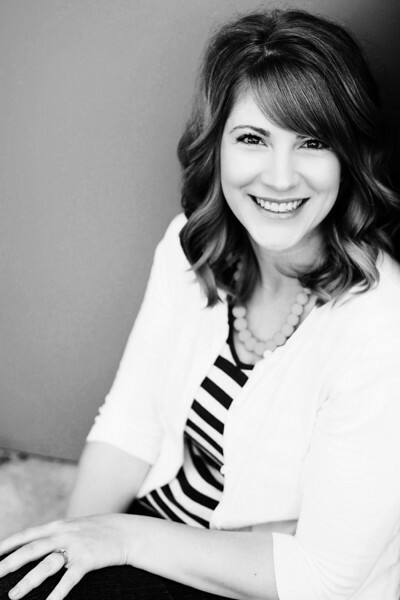 I plan to paint my daughter’s bed and bookshelf. My next painting project is my piano. This paint sprayer would really come in handy. That piece of furniture is beautiful. You always do a super job. I have an old dresser and chest that needs attention. Would love it to look like yours. Thanks for the opportunity to enter. 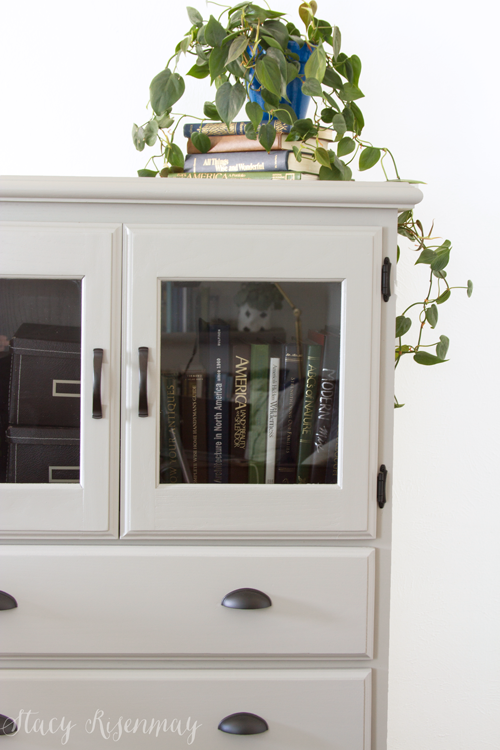 We’ve done this with several pieces, cupboards, entertainment set and a curio cabinet! We want to try a grandfather clock next! Very exciting. Love how you project turned out. Next on my list is a hutch I purchased at a garage sale for $25. Crossing fingers it turns out as lovely as this project. I have two nightstands that are in dire need of paint. That would be next on my list. Love the end result! Next paint project would be my garage. It needs help and this would come in handy. My next painting project is a set of unfinished side tables. I love the dresser! It would save so much time with the spray painter. I’d love it. This turned out fabulous! Guess what’s on my next project list. 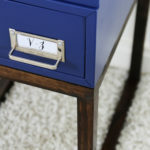 I love how something as simple as paint can change the look of a piece of furniture. Nice job! The dresser remake is beautiful. My dresser from childhood needs an update! 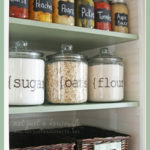 There are a few projects in my queue and after seeing your photos, maybe this could work on our kitchen cabinets. They are hickory and have a deep grain also. 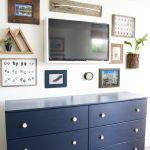 I love the transformation of the dresser! 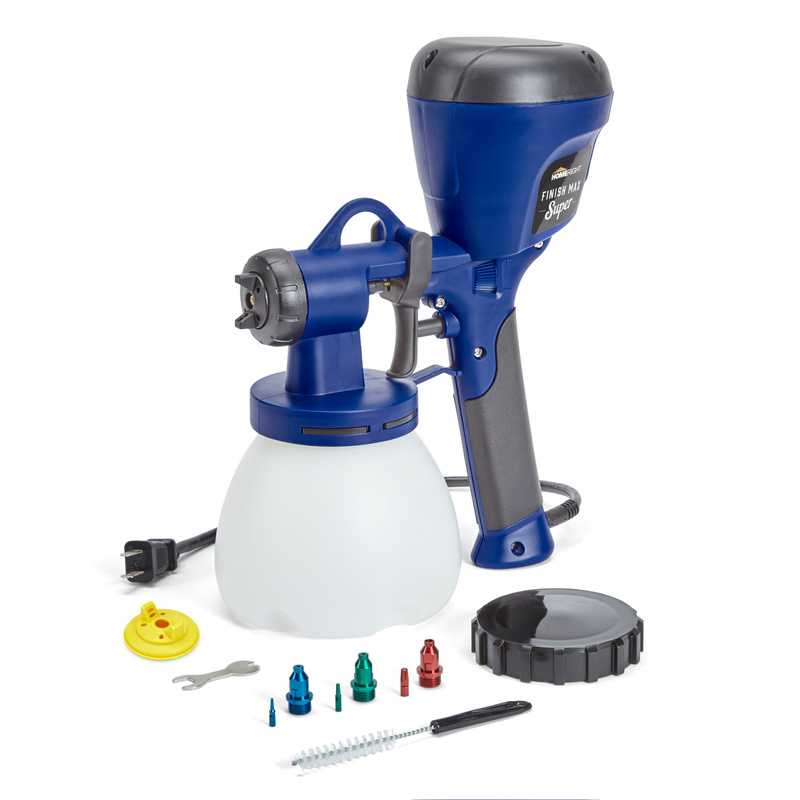 I’d live to win the paint sprayer just purchased a new home and would use it on about 1,652,004 projects. Great job! You are so talented ?. Thanks for the giveaway! The gray dresser makeover looks AWESOME!!! Love the dark hardware against the light gray! Oh, next painting project? I have an old beat up sideboard that someone left on the curb – plans to paint it navy with a stained wood top! Nicely done. I like the clear glass in the dresser! What a gorgeous piece you have made it into! Amazing what paint and new handles can do to that orangey-oak!!! 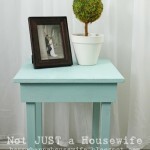 My nest painting project is to redo my coffee and end tables. Would love to win this sprayer. my next project will be the trim in our house! It’s gorgeous! I have a vintage secretary that needs a new paint job. 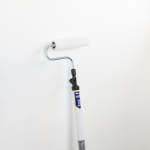 It’s been patiently waiting for a couple of years now – maybe winning the paint sprayer will give me the motivation! Please oh please Mr. Rafflecopter PICK ME! WOW! What a huge difference that makes on that dresser! You have inspired me once again! I have an oak kitchen table and six (yes 6!) that desperately needs painting. I have put it off forever because of all the hard work, especially on the chairs. If I had this handy-dandy Home Right Super FinishMax I could be done in no-time! Would love to win! I have 2 old dressers from my grandma’s house that I need to refinish so they can go in my kid’s rooms! I’m currently looking for a buffet, or long dresser to convert to a buffet, for my dining room. Thank you for a chance to win this, it will be so awesome to who ever gets it! Happy Halloween! I would love a HomeRight Super FinishMax….I have several bed frames to paint. These are usually a pain with a brush, it would go sooooo much faster with a sprayer, not to mention look more professional! Thank you for the giveaway! This came out gorgeous! My next painting project will hopefully be my dining room. That transformation was wonderful, I can see how effective the sprayer can make all the difference! We have several old furniture that we are about to repaint .. this would be so helpful. Thank you for that chance and sharing this! Our next poroject is to paint the kitchen cabinets. I am so looking forward to that and this would make it so much easier! I have an old coffee table that I’m turning into a bench. I will paint the sides and legs and upholster the top. My next painting project is my living room and kitchen. A sprayer would make it so much easier! Oh, I forgot to mention…your dresser looks fantastic, btw! The next project I am going to tackle is painting a wooden step stool to match the decor in the guest bedroom so that I can use it like a side table there. I will be painting shiplap. My next painting project is the trim and doors in our new house. It’s all a tan/cream color than makes the walls (that are painted tan) and entire house seem…..tan. ;D I love contrast and hope to tackle the trim/doors so we can get finally get some! My next project is to paint the outside side tables. The finish has worn off. My next painting project is a frame for a calendar to go into my office at work. A very old desk and I would love to try it with a sprayer. Thanks!!! Our old fixer upper needs paint in and out…every room. Like your sister a big and long project. A couple years on this one. A sprayer would be nice. I would like to paint our coffee table. My builder grade oak bathroom vanities need some paint! Was actually just looking at these sprayers last weekend. I love that dresser. What a beautiful transformation! Beautiful job. I NEED to win that spray painter! What a difference paint made to the dresser – it looks beautiful! I have bedroom furniture and a couple of accent tables that are on my list to paint. Having this paint sprayer would make it so much easier, not to mention, how good it all will look! My project is refinishing a table and storage for our craft room! The power of paint never ceases to amaze! I have a dresser and nightstand that need to be painted. 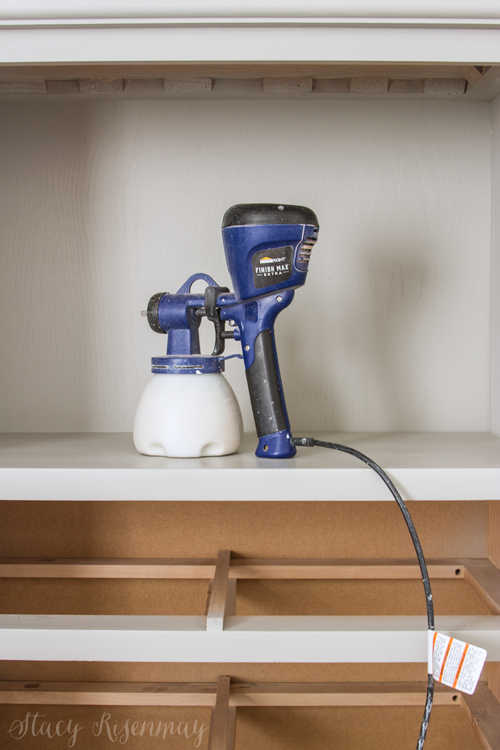 I have never used a spray gun but really want to try it on my dresser… a dark navy blue!! The dresser turned out great! I’ve been eyeing my bathroom cupboards for my next project. My next painting project will be four mismatched wood dining chairs. I’m hoping to paint my bedroom next! That looks great! Laundry cabinets are next on the list to paint. Have a bookcase that needs updated. Not sure what my next painting project will be. Possibly the shelf in my laundry room. Have not used a sprayer before, but it looks like it could be faster and more even than brush painting. Great makeover! My next project is turning an undersized desk into two end tables. This project inspires me to get going on it! Next painting project is living room, Dining room and Kitchen walls. Doing a kitchen renovation right now and all walls need new paint. I’m in the thick of refinishing an antique bed, which involved some painting, but it’s done now. Getting a little cold here for painting projects, alas, but I really love the way this dresser turned out. I have some sad, old dressers that would be prime candidates to get a makeover. Great inspiration, maybe in the spring. Wow, what a difference a sprayer makes! I have a desk that needs some DIY love. Just beautiful! I love the color and the new handles. I would love to win the sprayer. I am planning to paint my sons bedroom set next. I have an old bookcase that I need to paint! I have a toybox I want to re-paint. Working on a vanity mirror dresser in the garage. I’d like to redo an old nightstand I came across. I have an old side table I want to paint SOON! We really are fixing to paint all of the interior walls in our house. We put in new flooring, and now we need to do the walls and trim to match the new flooring. This would really help! Painting a vanity that some friends gave our daughter. My next painting project is my kitchen cabinets, we are doing a kitchen remodel and they are up next on the long list of things to refresh. You did a great job!! I have book cases to paint. I have to paint my dining room chairs. Our next project is painting an old trunk and making it a toy box. my next painting project is a desk i am helping my husband make. That’s great! I have an end table that has dark wood grain and I’ve been wondering about paint…now I’m going to give it a try!